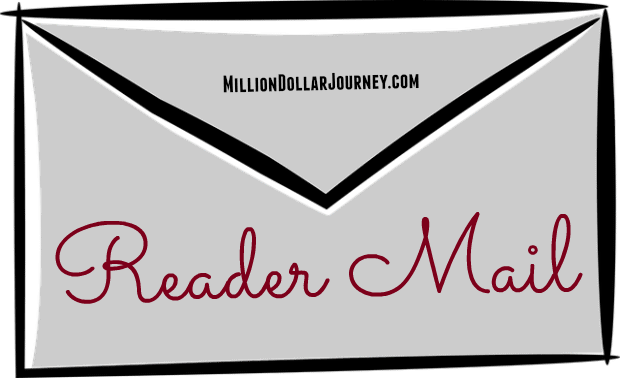 Reader Mail: I have $1M+ Net Worth – What's Next? Congratulations Keanu on a most excellent achievement on reaching the $1M mark. I do believe that maxing out that TFSA with some dividend generating stocks would be useful. Creating that passive income, will allow this young man to enjoy the fruits of his labour as his sits back on a beach in Florida and enjoys the sunsets. I would recommend to establish a plan to sell company shares and diversify. Especially if he gets them regularly. Even executives have such plans. When it all goes well, we tend to be greedy … and when it doesn’t, it’s often too late. I personally sell all the company shares because the company I work at doesn’t match the type of company I would invest in – ironic isn’t it :) He should treat the company shares as an investment just like any other investments. Is the Florida rental property for personal use as well? I would agree that REITs may be a better investment alternative. All in all, it’s not clear what kind of investor he is. DIY? Index? Mutual funds? Knowing that would help establishing some of the next steps. Does anyone READ the details anymore?! “I’m now at a point where I am looking at paying off my mortgage within the next 3 years…” = $??? Unless his mortgage is only $25,000, then he does NOT have a $1MM net worth. Maybe Sean Cooper is his accountant. I think you need to read the details again, “home equity” is $420K which factors the mortgage already so you’re double counting the mortgage debt in your example. I’d buy more shares of your company or diversify/add businesses to this company if you can. That’s the single largest thing you can do to help your net worth, plus when you’re ready to sell you’ll be able to command a larger price. Money is pretty cheap right now at ~3% prime interest (if you’re a big, safe company you should be able to get this) so why bother killing a mortgage at 2.5% interest and not buy more shares of your company that have a 20% ROI? I am in similar situation as you, and have looked into real estate investing to diversify. 1) Joint Venture partner, by acting as a money partner (e.g. buying triplexes). Caveat is that you have to find a trustworthy sophisticated real estate investor. 2) Private mortgage lending via mortgage broker for real estate investors. Current rates are approx. 10% interest rate. google “REIN” or read books by Don Campbell to get a flavour of what joint ventures are all about. If you find the right partner, you will find that the returns in real estate investing far exceeds the stock market returns, as I have found – this is coming from a die-hard couch potatoer like myself. I’ve ventured into private mortgages, been doing it for approx 2.5 years, but never gotten into joint ventures. How’s that working for you? Liquidating company shares may or may not be an option, depending on why he’s owning them. Some private held engineering firms require principal engineers to hold a certain amount of shares in order to buy into the company and have an ownership stake in the business. The firm my wife works for is this way, the firm I work for is not. So if Keanu has purchased shares to gain an ownership role in the company, he can’t liquidate without giving up ownership and thus revenue rights. On the other hand, if that’s not the reason, then diversifying seems appropriate to me. I’m not a big fan of too many eggs in one basket, and starting a TFSA with diversified investments seems a good idea to me. Congrats Keanu! I would work on paying off the existing debt and start saving towards the Florida property. If you have children, you could also consider a savings fund/ education fund for them.